This is old version My Mixtapez 6.0.11 apk for Android, you can install it if you want to downgrade or install old app. It is top Music & Audio apps from My Mixtapez LLC. 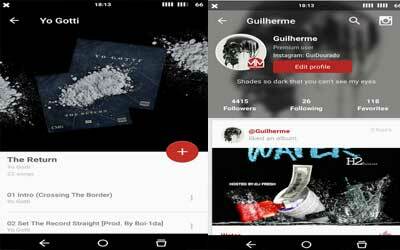 If you are the type of person who only wants to stream mixtapes, this application can do so as well. With the constant connection to the internet, you can also share some music statuses with your friends. This also enables you to write comments and reviews about a particular mixtape and have the others to write their feedbacks as well. In shorts, My Mixtapez Music has more functions than the other mixtape applications. But if you are into perfection, it might not be a good mixtape application for you. This application may be troublesome because it does not download the album cover as you download the whole album. Moreover, this application tends to force itself to close the application occasionally and it might be a nuisance if you are in the middle of downloading something. The amount of advertisements itself is way too much for a mere mixtape application, and they show up frequently. But overall, My Mixtapez Music for Android is still a nice add-on for your Android device.